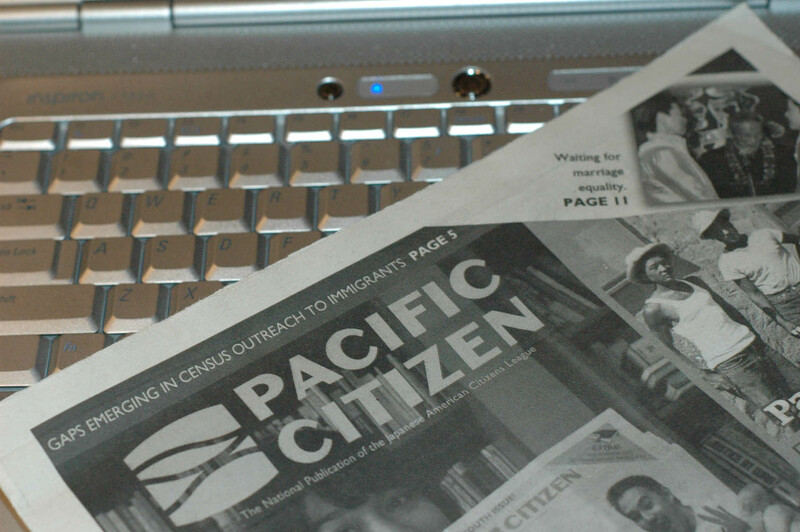 The Pacific Citizen exists both online and in a monthly print edition. In September 1929, a small, Asian-run newspaper was first published in San Francisco and has been in print ever since. Today, The Pacific Citizen is now available both in print and online, and in these times of declining print media, it is still finding ways to connect with its audience. The PC was started by the Japanese American Citizens League; members have a subscription to the print version of the newspaper that is published and mailed all over the country. ﻿Jeff Itami, a member of the Pacific Citizen’s editorial board, said the economic problem has affected the paper like any other business. The PC has had to cut operating costs and do some fundraising. According to the PC’s Web site, only six staff members publish the paper, not including contributors. Itami said the print version of the Pacific Citizen is declining in circulation. Fisk said membership is steadily declining to the JACL, which could mean declining subscriptions to the PC. About 30,000 people subscribe to the print version, Fisk said, some of whom were Japanese-Americans who were held at internment camps during World War II. Other reasons for decline in membership are the many splits the JACL experiences due to its stances on certain issues in the media. Fisk said the JACL lost members during World War II due to its lack of vocalization and action while Japanese-Americans were being interned in camps. Another, more recent event, occurred when 1st Lt. Ehren Watada, was discharged from the U.S. Marine Corps because of his vocal opposition and refusal to take part in the war in Iraq. The JACL supported Watada, while many members thought it was not relevant to them, creating another split in membership, Fisk said. The number of print subscriptions the PC has does not reflect its reach, Itami said. The paper is focusing on expanding its online popularity. Despite the decline of the print version of the paper, Itami said the PC is reaching out to a younger audience. Recently the PC reformatted to a magazine format to appeal to younger readers. According to the PC’s Web site, it receives about 450,000 hits per month. Itami said he is not worried about the PC’s financial future. The PC’s advertising revenue (which accounts for 50 percent of the paper’s income) is increasing.